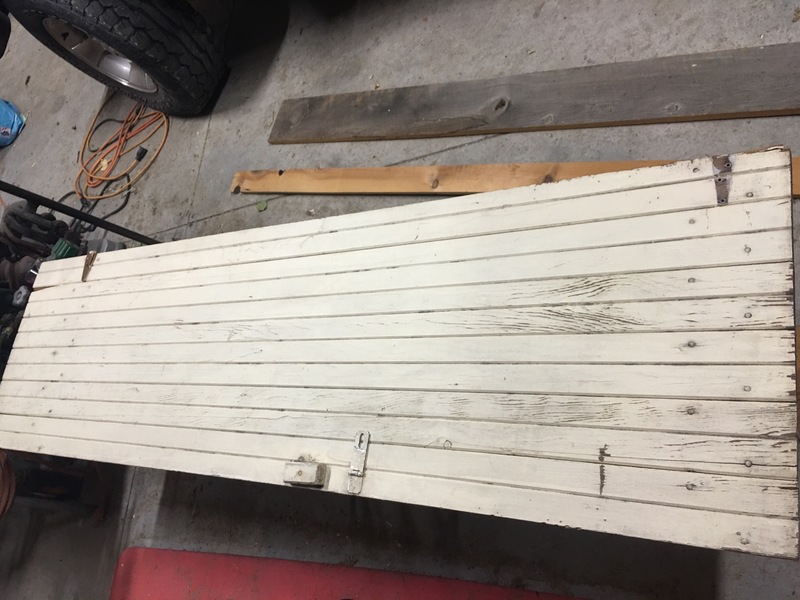 ✔️Begin with an old door. ✔️Measure and cut a plank of wood plank to desired length for shelf. 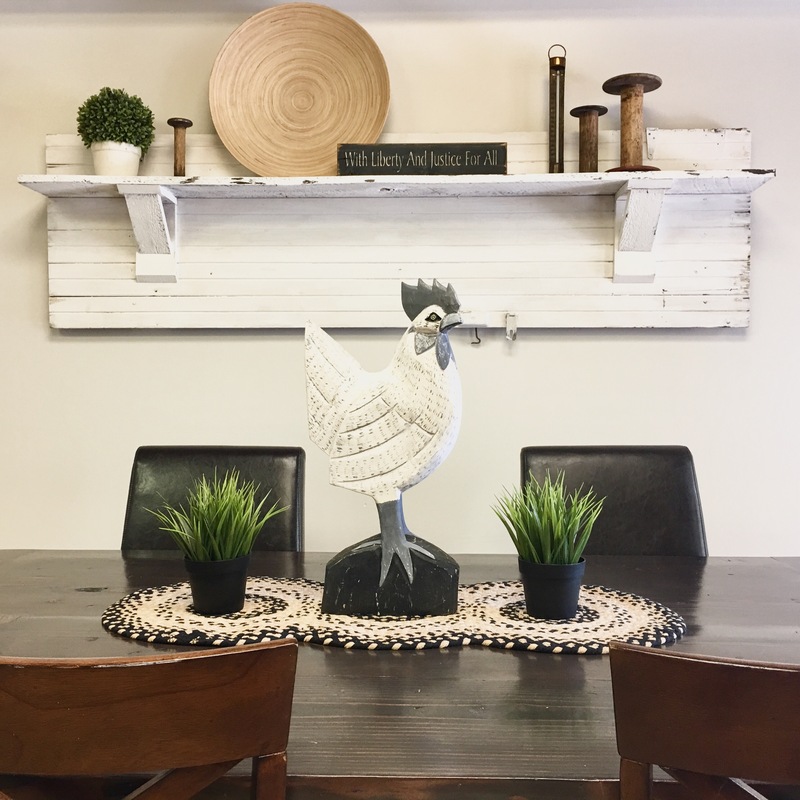 We used a piece of old barnwood measuring 1″ thick by 10″ wide. 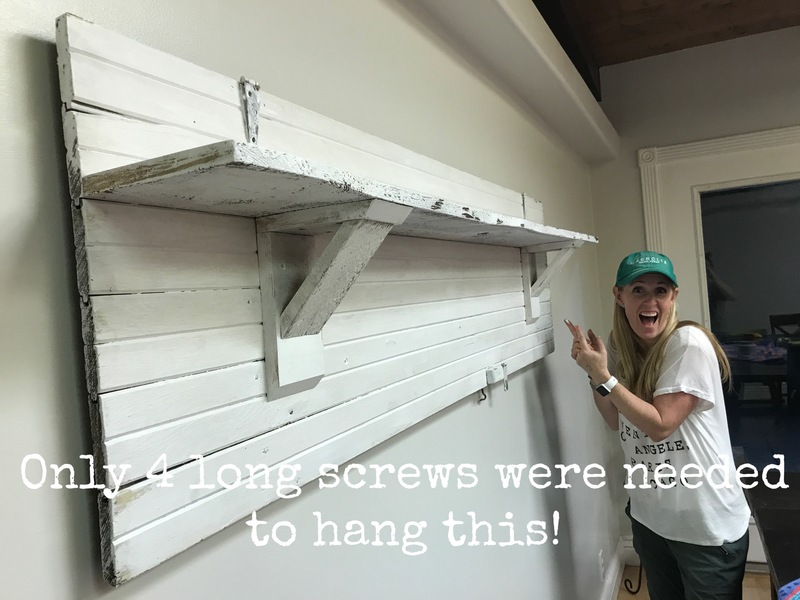 ✔️Attach shelf to the door using grabber screws. Screw goes through the back of the door into the wood. 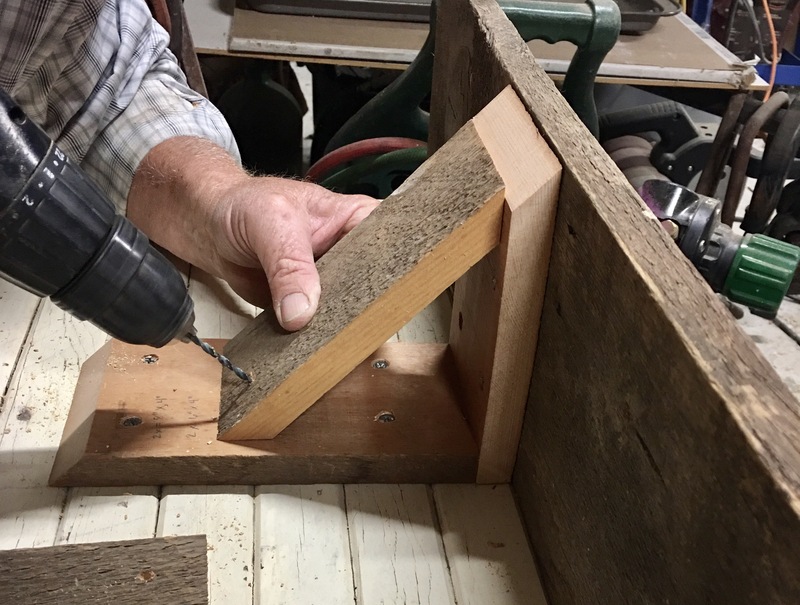 (Don’t forget to pre-drill holes or your wood will split!) 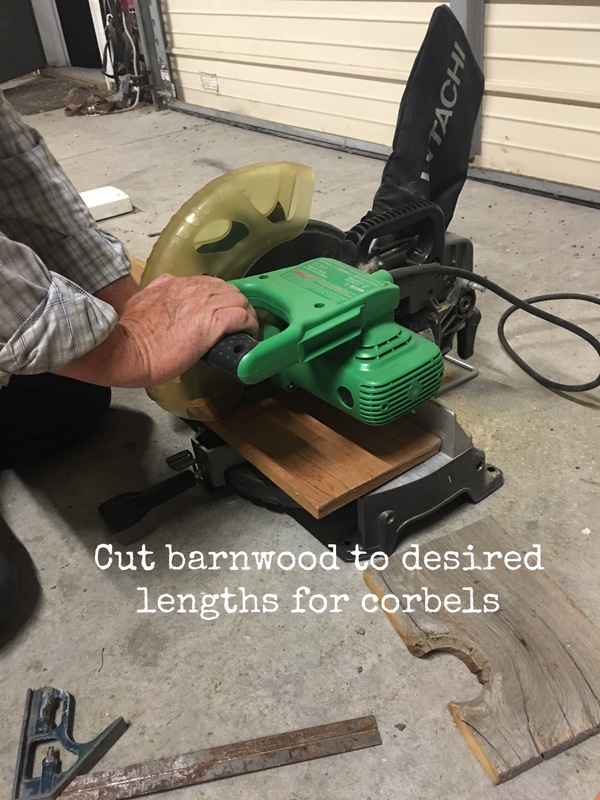 ✔️Measure and cut wood for corbels to desired lengths. We used 4″x9″x1″ for the “L” section!of the corbel. ✔️Miter one end of the corbels to 45 degree angle. 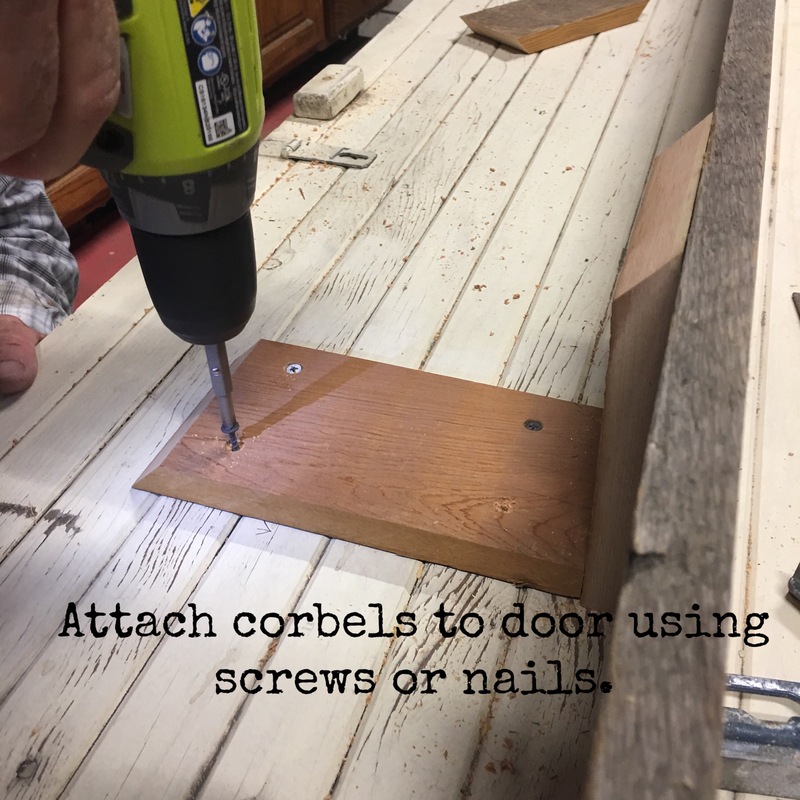 ✔️Attach corbel “L” section using screws or brad nails. 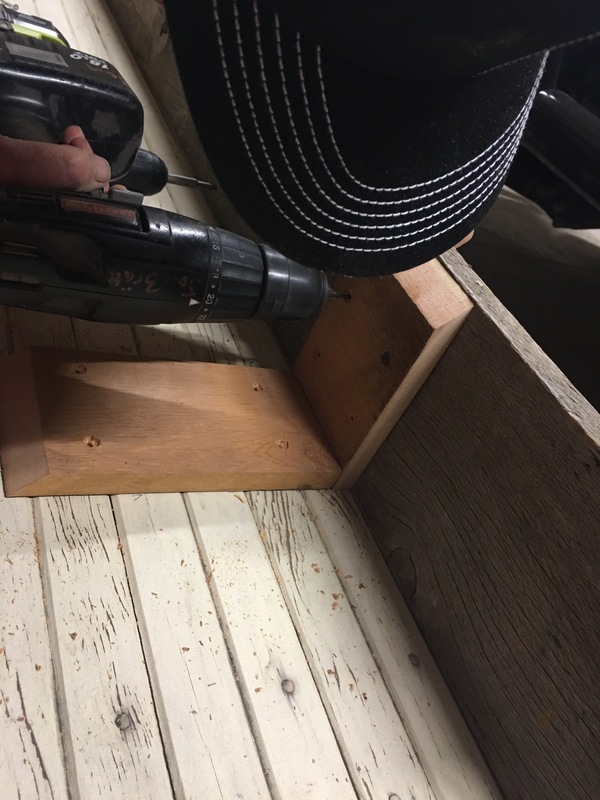 ✔️Cut 3″x6″ lengths for corbel brace. Miter both ends to a 45 degree angle. 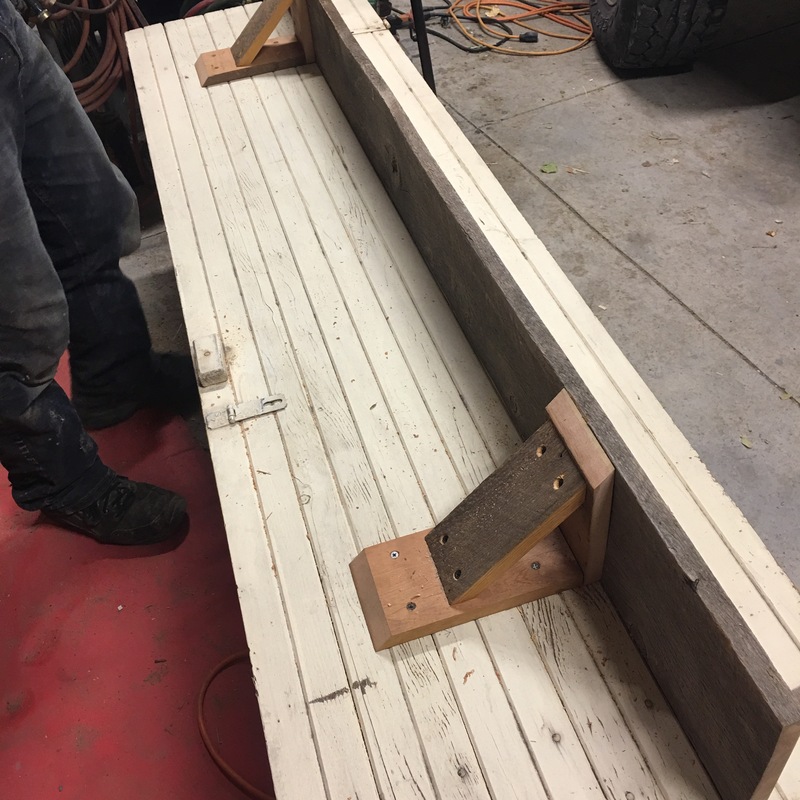 echair.files.wordpress.com/2017/07/img_6292-2.jpg”> ✔️Attach brace to corbel “L” section using Brad nails or screws. 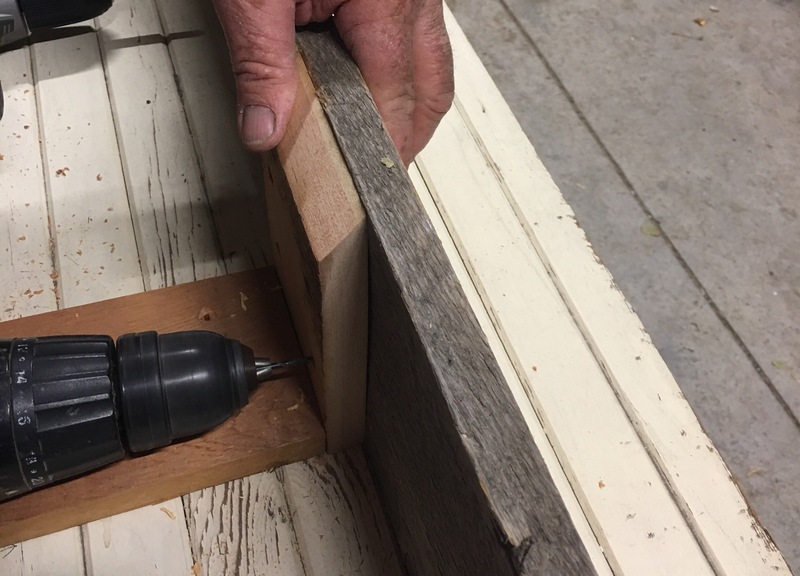 ✔️If your old wood plank is not square, push or pull while secure the corbel brace to level using a square tool to straighten the wood. ✔️Prep for paint. Sand as desired. 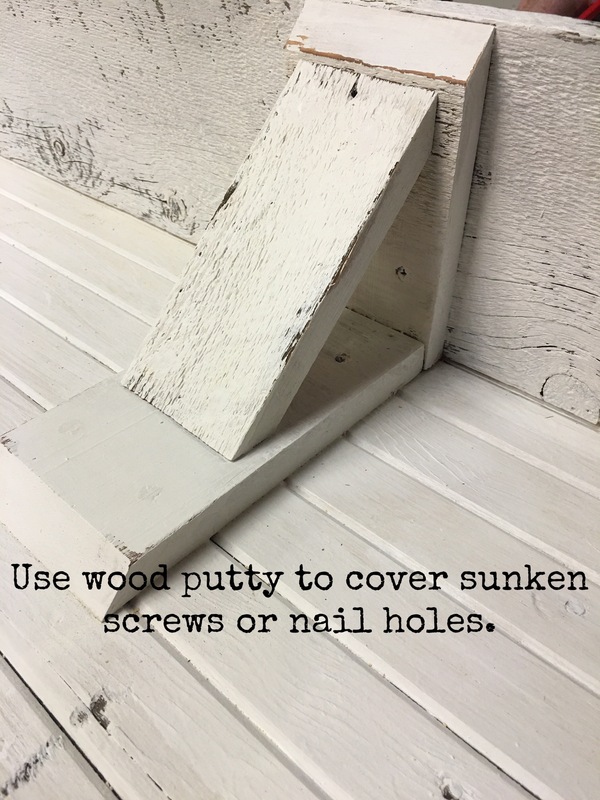 ✔️If desired, fill the screw holes or brad nails with wood putty. ✔️Paint or stain as desired. For an extra chippy look, try putting a layer of wax or Vaseline in certain spots before you paint. 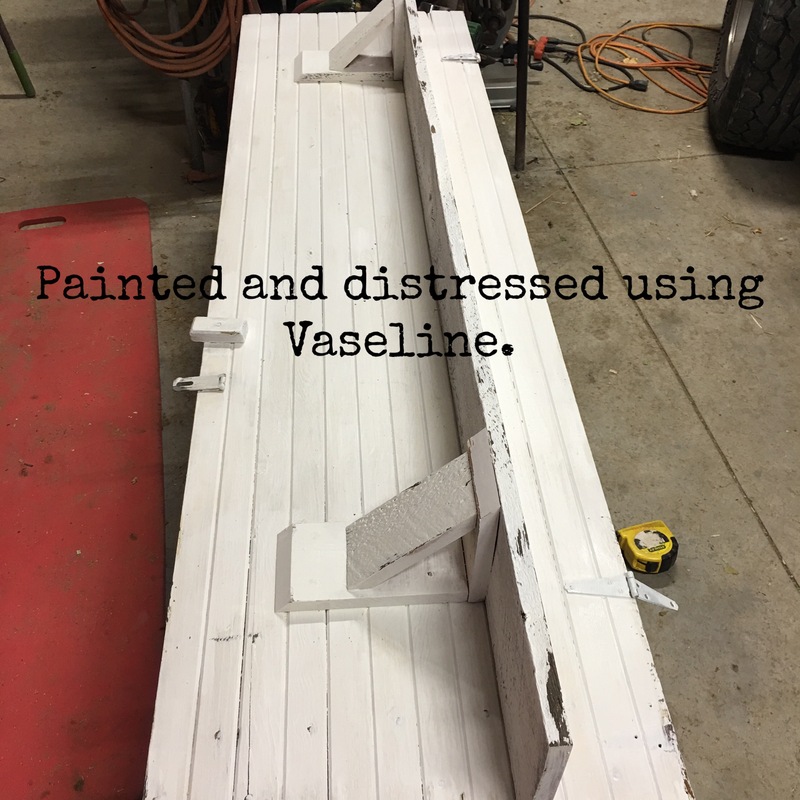 The paint won’t stick to those areas and will scrape or sand right off for an old chippy look! 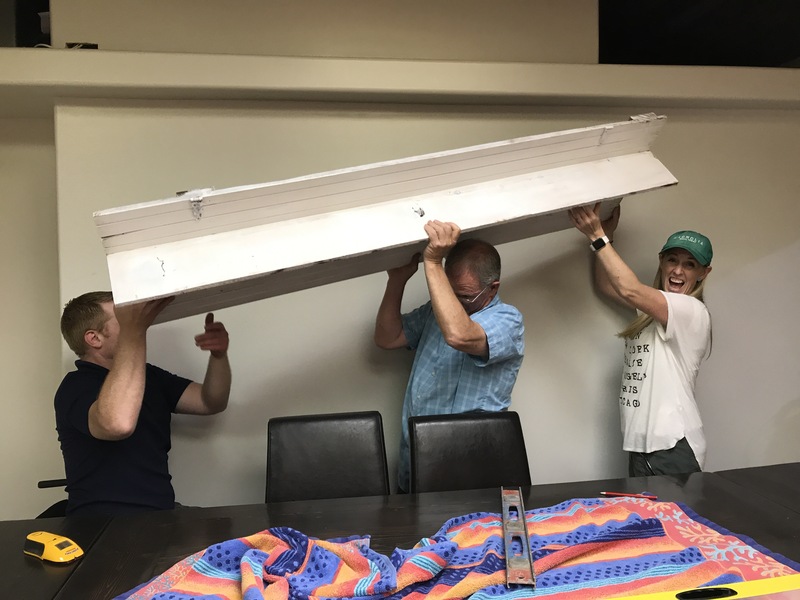 For hanging the shelf: ✔️Locate the studs in the wall. This can be tricky. Be sure to take your time measuring twice and use a stud finder if possible. ✔️Measure, mark and Pre-drill holes on the door. 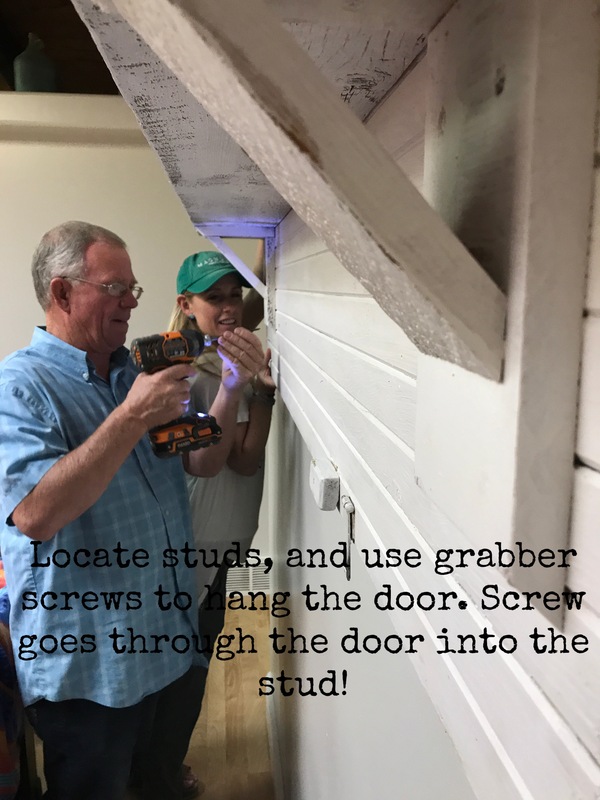 ✔️Use long grabber screws and drill through door and into the studs. 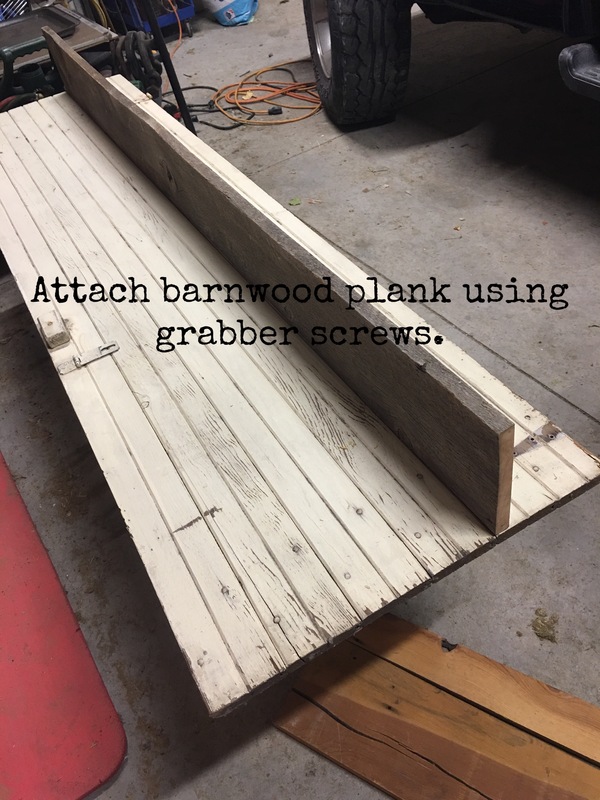 We used 4 long grabber screws.